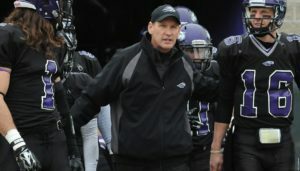 Former UW-Whitewater football coach Lance Leipold has agreed to a five-year contract extension with the University of Buffalo. It comes following a season in which the Bulls won a school-record 10 games and made their third bowl appearance. Leipold just finished his fourth season in Buffalo and carries a 23-27 overall record at the school. He already ranks fourth on the schools coaching list for victories. His new deal runs through 2023. Leipold coached at Whitewater from 2007 through 2014, compiling a 109-6 overall record and a 53-3 conference mark. He led the Warhawks to seven conference titles, seven national championship games and six national titles. Leipold’s Buffalo team won the Mid-American Conference championship this past season, finishing 10-4 overall. UW-Whitewater’s season came to an end on Saturday, falling to second ranked Mary Hardin-Baylor 31-14 in the NCAA Division 3 semifinal. The win was the first for UMHB over the Warhawks in six meetings and the Warhawks saw their season end at 13-1. Whitewater had four turnovers for the game and trailed 17-0 by halftime. The Warhawks did score the first touchdown of the third quarter, trailing 17-7. Both teams traded touchdowns to make it 24-14, before the Crusaders’ scored one final time for the final margin. UMHB’s Markeith Miller had 171 yards on 33 carries to lead the way for the Crusaders. Fifth ranked UW-Whitewater rolled to a 30-10 win on Saturday to wrap up the WIAC regular season championship and secure the league’s automatic bid into the NCAA Division III playoffs. The Warhawks (8-0, 5-0) clinched the title after UW-Oshkosh fell to UW-Stevens Point 27-21 on Saturday. The Pointers pulled off the upset after Sam Shafer took an interception back 42-yards for a score. Whitewater claimed the school’s 36th WIAC championship. Former UW-Whitewater head football coach Lance Leipold will be enshrined into the Wisconsin Football Coaches Association Hall of Fame Class of 2018 on Saturday, March 24, in Middleton. Leipold, who played quarterback for the Warhawks from 1983-86 and served as head coach of the program from 2007-14, will be the lone college coach in this year’s induction class. Leipold recently finished his third season as head football coach at Division 1 Buffalo. 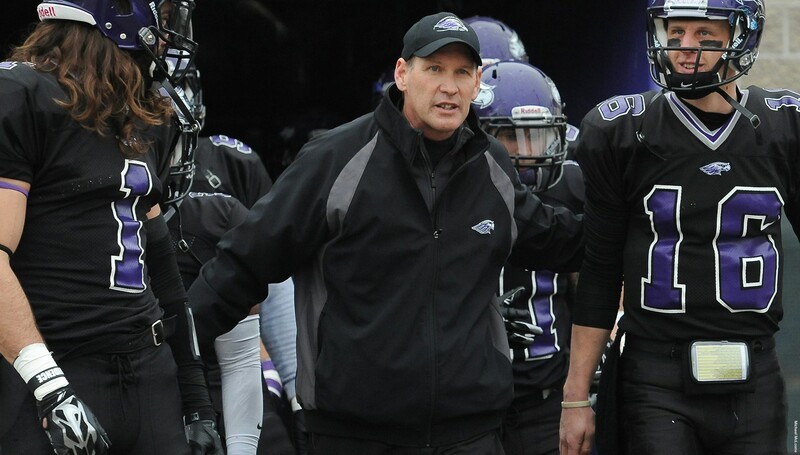 As the head coach at Whitewater, Leipold amassed a 109-6 record, leading the Warhawks to seven WIAC titles, six national championships and one other trip to the Stagg Bowl. He became the fastest head coach in college football history to reach the 100-career win plateau, doing so in just 106 games. Leipold won the WIAC George Chryst Coach of the Year award four times and is a six-time national coach of the year recipient. 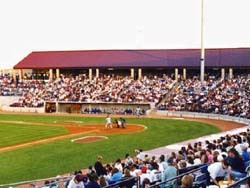 The UW-Whitewater Warhawks are in familiar territory, just one win shy of a trip to the NCAA Division 3 National Championship game. The Warhawks are very familiar with their opponent, Mount Union, but their meetings usually come in the title game. The two teams have met in the National Championship Stagg Bowl game nine times in the last ten years. The Warhawks have won the last five. Today, the two teams meet in the semifinal round, on Mount Union’s home field in Alliance, Ohio. The Purple Raiders are undefeated and ranked number-one in the nation coming in. Their powerful offense is averaging 55 points a game. The Warhawks advanced by beating WIAC rival Oshkosh 31-29 last Saturday in Oshkosh. The winner heads to the Stagg Bowl championship game in Salem, Virginia next week. Former number-1 U-W Whitewater dropped from to sixth in the new D3Football.com poll. The slide comes after the Warhawks lost at U-W Oshkosh ten-to-seven on Saturday. The loss ended the Warhawks 36-game winning streak, the longest active win streak in all of college football and the sixth-longest in N-C-A-A Division three history. The win moved Oshkosh ahead of Whitewater in the new National poll. The Titans are at number-five. Both teams are four-and-one overall. U-W Platteville fell one place to 13th, despite their 30-27 win over Stevens Point. Mount Union of Ohio is the new Number-one team in the country.